Digital marketers are always going on about how social media and blogging are important parts of your digital strategy. But why do they work so well together? Basically, they enhance what each other can do. One of the main draw cards of blogging is SEO. By blogging regularly, you’ll increase your likelihood of showing up in searches. This will increase your blog traffic, and the chance of people making their way to your social media. Having a blog means that you are regularly producing fresh content. Not only is this good for your blog, your SEO, and your website, but it means you can provide new content for your social media. Because articles and links are considered quality content on Facebook, it will help your page to reach a wider audience. In terms of Twitter, it gives you unique and interesting content to share, and then directs people to your blog or website. 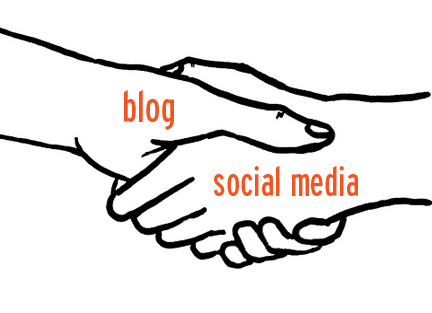 Regular blogging builds trust. It helps people see that you are more than just a faceless company, and that you know what you’re talking about. Because social media is all about building trust, blogging provides a space for you to do that with as many words as you need, rather than the limited posts you can do on social. Establishing yourself as an authority in your niche is one of the first steps to being successful on social media. By sharing knowledge and information, and not just selling your product, you are showing your community that you care about your topic and you care about them. It lets them know that you want to help them improve their lives, and that you’re ready and willing to do so. This then transfers over to your social media by sharing links to your blog. Tags: blog, blogging, content marketing, fashion exposed, retail, retail industry, SEO, social, social media, social media marketing, social media servants. Bookmark the permalink.